It's summertime and we all know what that means...ANTS! Those of us with cats or dogs can find an ant problem especially annoying when it comes to our pet's food. 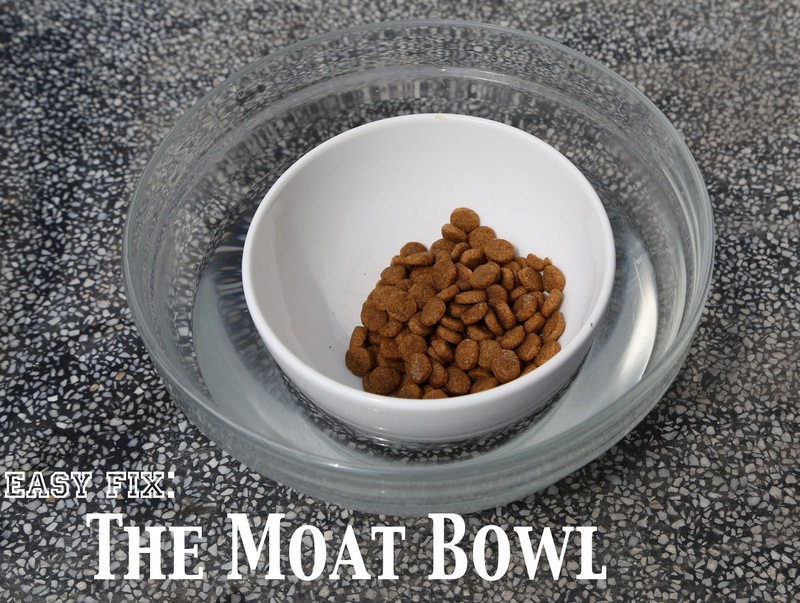 Well recently, on a home visit to my vet, I saw that she had a perfect solution for such a problem: make a moat for your pet food bowl! The ants will not swim across the water and certainly can't jump, so take that stupid ants! It's very simple to do. 1.) Pour a glass of water into a bowl that is larger than the food bowl. 2.) Place the food bowl inside of the water bowl making sure the water doesn't overflow into the food. That's it! This is what it should look like. 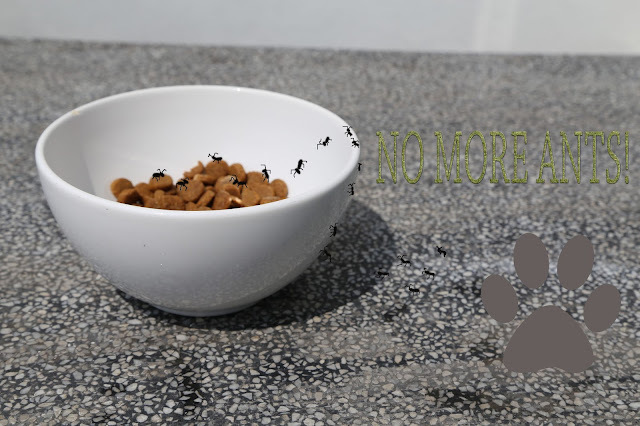 Ant free and they love it!